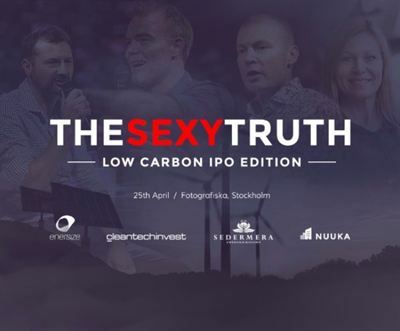 The event is going to provide insights into Cleantech Invest as well as portfolio companies Enersize and Nuuka, who have both announced listing plans. Cleantech Invest will also present exciting data on the environmental impact our portfolio companies are making. There has been a lot of demand from shareholders and followers across the Nordics and beyond to follow the event live, so we are making sure it gets done. We look forward to it and hope to see you there!